Elections Commission has reiterated it is illegal to use the official colours of political parties in political activities without consent. 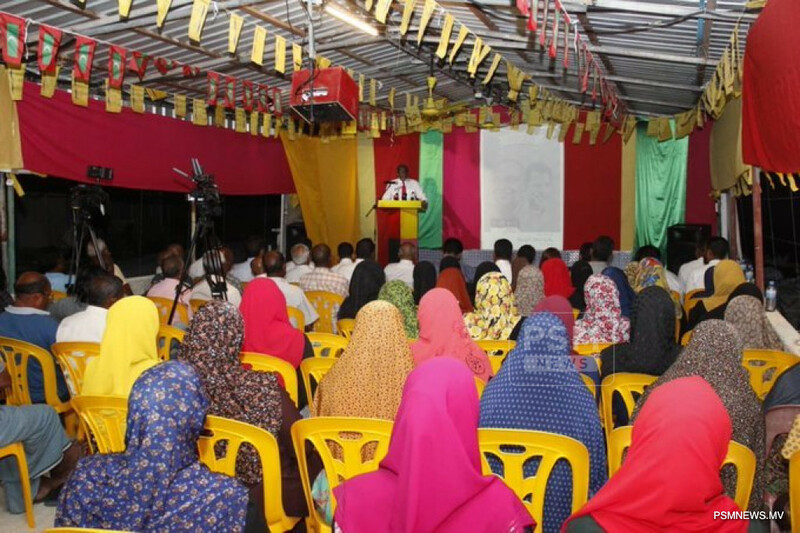 In a tweet, President of Elections Commission Ahmed Shareef said using the colour registered by a political party, as its official colour, in any political activity conducted by a political party or an individual is illegal. Noting an official mechanism has been established at the commission to file complaints, Shareef said necessary action will be taken against violators, after monitoring and investigating the complaints. He warned if such acts are continued even after the electoral body takes action, the cases will be forwarded to Maldives Police Service. The Elections Commission has called to refrain from violating laws and regulations while conducting political activities.